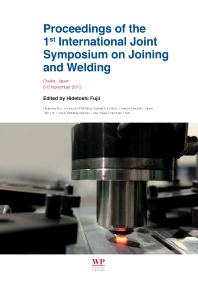 This book contains the papers from the Proceedings of the 1st international joint symposium on joining and welding held at Osaka University, Japan, 6-8 November 2013. The use of frictional heating to process and join materials has been used for many decades. Rotary and linear friction welding are vital techniques for many industrial sectors. More recently the development of friction stir welding (FSW) has significantly extended the application of friction processing. This conference is the first event organized by the three major institutes for joining and welding to focus on the broad range of friction processes. This symposium will provide the latest valuable information from academic and industrial experts from around the world on FSW, FSP, linear and rotary friction welding. Part 1 Colour and colour perception: What is colour? Variability in normal and defective colour vision: Consequences for occupational environments; Colour illusions and the human visual system; Colour psychology: the emotional effects of colour perception; Understanding colour perception and preference; Predicting responses to colour. Part 2 Measuring and describing colour: International standards for colour; Colour description and communication; Colour naming for colour communication; Colour specification and visual approval methods for textiles; Colour management and approval methods in lithographic printing. Part 3 Colour, design and coloration: The history of colour theory in art, design and science; Enhancing design using colour; Understanding and forecasting colour trends in design; Colour symmetry: The systematic colouration of patterns and tilings; The history of dyes and pigments: From natural dyes to high performance pigments; Dye types and application methods; Colour printing techniques. Part 4 Colour and design in particular applications: Colour trends and selection in fashion design; Colour in interior design; Colour in food; Choosing effective colours for websites; Evolution and colour change in works of art. Hidetoshi Fujii is Professor of the Department of Functional Diagnosis, Joining and Welding Research Institute, Osaka University, Japan. He is also the conference chairman of the 1st International Joint Symposium on Joining and Welding.